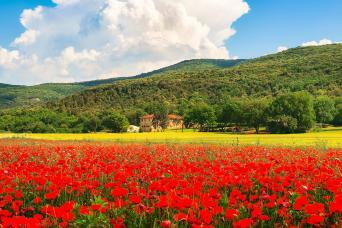 Our walking holidays in Tuscany include some of the finest walking Italy has to offer. Days spent walking through the breathtaking Tuscan landscape between fascinating renaissance towns and monasteries are a magical experience. Discover the tastes and textures of this famous region; our range of walking holidays in Tuscany have been put together to showcase the, almost geometric landscape of hills, vineyards and olive trees. Whilst walking through Tuscany you will have the chance to sample the delicious the food and wine which Tuscany is renowned for. 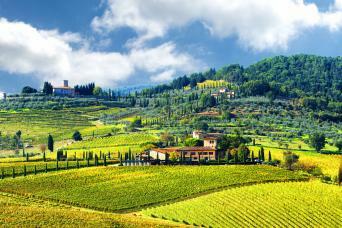 Visit the famous Tuscan Hill Towns or trek between the unforgettable towns of Florence and Siena. 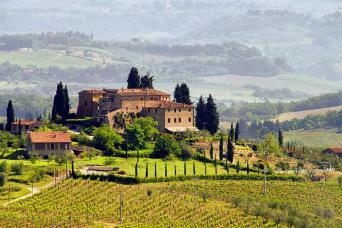 You can experience an immersive Tour of Chianti or combine the wonders of Tuscany and Umbria. Our Italy specialists can help you arrange extensions to Florence, Rome, Pisa, Siena or perhaps another walking holiday in Italy so please don't hesitate to get in touch to start planning your dream trip to Italy. Walk through romantic southern Tuscany between idyllic hill top towns, including Montepulciano, Pienza, Montalcino and finally Siena. Your journey winds through a unique linear, almost geometric landscape of hills, vineyards and olive trees between Renaissance towns and medieval monasteries. Hill Towns of Tuscany Highlights is a captivating short break, capturing the best of the southern Tuscan landscape while walking between fascinating medieval and Renaissance towns. 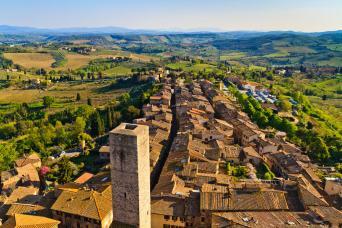 Spend 4 nights exploring Tuscany on foot, walking between atmospheric ancient hilltop towns of Volterra, San Gimignano, Colle Val D’ Elsa and Siena. 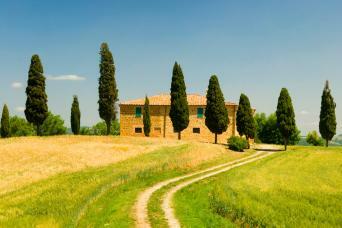 Walk Tuscan wine trails through the timeless landscapes of Chianti to Siena, staying in luxury accommodations. 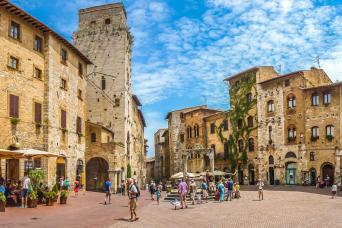 A week under the Tuscan sun; with 3 days of walking between hill-top towns, with time to relax and explore Volterra, San Gimignano, Colle Val D’Elsa Monteriggioni and Siena. Follow Tuscan trails through the unforgettable wine region of Chianti to Siena, whose historic centre is a UNESCO World Heritage Site. Walk from the medieval and Renaissance hill-top towns of Siena and Pienza in Tuscany, on to historic Perugia in Umbria, and ending in iconic Florence. Nestled in the green heart of Italy, you’ll walk through landscapes of rolling hills, past soldier-straight lines of cyprus trees, through vineyards and olives groves. On this short break walking adventure in Tuscany discover the unforgettable and classic landscapes of the Chianti wine region.